​​Many veterans and others are using cannabis medically to treat the symptoms of Post-Traumatic Stress Disorder (PTSD), according to preliminary results of a new survey. Cannabis Science Inc., which describes itself as “an emerging pharmaceutical cannabis company,” is reviewing the interim results of its survey of more than 1,400 people. 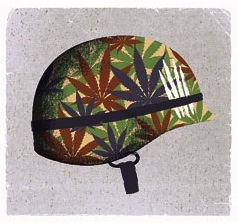 “It is clear that many veterans are already using herbal cannabis to self-medicate to relieve the symptoms of PTSD,” said Dr. Robert Melamede, president and CEO of Cannabis Science. “Consequently, there is a clear need for standardized, FDA approved, oral cannabis products which can, and should be, provided to veterans and others who can benefit from its use,” Melamede said. “It is shameful that the very people who have risked their lives and sacrificed their health to defend our freedoms have to break the law and risk their own freedom to use a safe medicine that they find to be most effective for relieving their suffering due to PTSD,” Melamede said. According to Cannabis Science, both U.S. military veterans and members of the general public participated in the PTSD survey. The survey was designed and conducted by Mitch Earleywine, Ph.D., professor of psychology at the State University of New York (Albany). 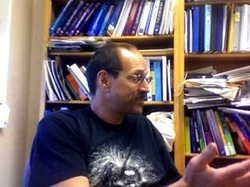 Dr. Earleywine is also a member of the Cannabis Science Inc. Scientific Advisory Board. The survey is still available for a limited time online at the Cannabis Science website for all those who still wish to participate. The survey results will be made public as soon as the study has been completed.